Gorillaz are a British virtual band created in 1998 by musician Damon Albarn and artist Jamie Hewlett. Canonically speaking, Murdoc Niccals formed the band. 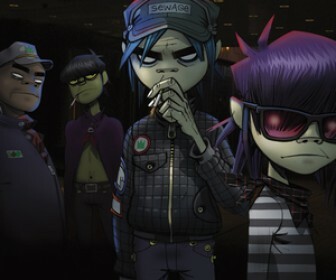 The band currently consists of four animated members: 2-D (lead vocals, keyboards), Murdoc Niccals (bass guitar), Noodle (guitar, keyboards), and Russel Hobbs (drums and percussion). Their fictional universe is explored through music videos, interviews, and other short cartoons. In reality, Albarn is the only permanent musical contributor, and often collaborates with other musicians. 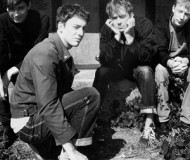 With Gorillaz, Albarn departed from the distinct Britpop of his band Blur and explored influences including hip hop, electronic music, and world music through an "eccentrically postmodern" approach. The band's 2001 debut album Gorillaz sold over seven million copies worldwide. 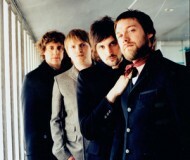 It was nominated for the Mercury Prize, but the nomination was withdrawn at the band's request. Their second studio album, Demon Days (2005), went six times platinum in the UK and double platinum in the US, and has sold over eight million copies worldwide. The band has won other awards, including one Grammy Award, two MTV Video Music Awards, an NME Award and three MTV Europe Music Awards. The third Gorillaz studio album, Plastic Beach, was released in March 2010. The fourth, The Fall, was released in December 2010 as a free download for fan club members, then in April 2011 as a physical release. In 2017, after a five-year hiatus, Gorillaz announced their fifth studio album Humanz. 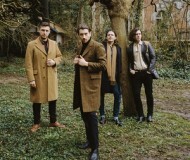 Their sixth studio album, The Now Now, was released on 29 June 2018. Gorillaz have been nominated for ten Brit Awards and won Best British Group at the 2018 Brit Awards. The band currently consists of four fictional band members: 2-D (vocals, keyboard), Ace (from The Powerpuff Girls) (bass; replacing Murdoc Niccals, who is currently imprisoned), Noodle (guitar, vocals), and Russel Hobbs (drums). These characters only appear in animated form and are not alter-egos of real people, as is often mistakenly assumed. 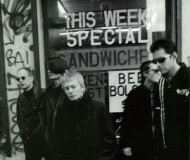 There is an extensive fictional back-story behind these band members, written by Albarn and Hewlett. Their albums, several of their music videos, and their autobiographical book Rise Of The Ogre all tell the saga. 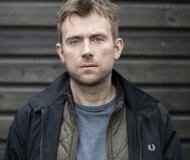 Damon Albarn is the only permanent musical contributor to the band, which is also a collaboration between various musicians. Their style is broad with a large number of alternative influences including rock, hip-hop, and electronica. They have released five studio albums: Gorillaz (2001), Demon Days (2005), Plastic Beach (2010), The Fall (Also in 2010) and Humanz (2017). Additionally, they have put out two B-side collections, G-Sides (2001) and D-Sides (2007), and a reggae remix of the Gorillaz album entitled Laika Come Home (2002). The band has also released three DVDs: Phase One: Celebrity Takedown, Demon Days: Live at Manchester Opera House, and Phase Two: Slow Boat To Hades. At the end of 2010, Gorillaz released their next album, The Fall, which was recorded during their US 'Escape to Plastic Beach' tour. It is promoted as being the first album made entirely on iPad. The album is streamed on the Gorillaz website. Their sixth studio album The Now Now is set to be released on June 29th, 2018. The band's first single, Clint Eastwood, was released on 5 March 2001. This single was the first of four from Gorillaz, which was released on 26 March 2001. The other three singles were released over the next year. These were: 19-2000, Rock the House, and Tomorrow Comes Today. The album sold over 7 million copies worldwide and has gone platinum twice in the United Kingdom earning them an entry in the Guinness Book of Records as the Most Successful Virtual Band. 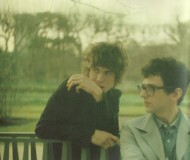 It was nominated for the Mercury Prize, but the nomination was later withdrawn at the band's request. Collaborators on the first album included Del tha Funkee Homosapien (often mistaken as a band-member), Miho Hatori (formerly of Cibo Matto), Tina Weymouth of Talking Heads.and Ibrahim Ferrer. The album was produced by Dan the Automator. At the end of 2001 the band released another single, 911, which was a collaboration between Gorillaz and rap artists D12, Eminem and Terry Hall. The single was from the soundtrack to the 2002 action comedy Bad Company. Their second studio album, Demon Days, was released on 11 May 2005 and included the hit singles Feel Good Inc., DARE, Dirty Harry and Kids With Guns / El Mañana. Demon Days went five times platinum in the UK, double platinum in the United States, and earned five Grammy award nominations for 2006 and won one of them (Best Pop Collaboration with Vocals). Collaborators on this album (produced by Dj Danger Mouse) include De La Soul, Bootie Brown of The Pharcyde, Shaun Ryder of Happy Mondays, Neneh Cherry, Ike Turner, MF Doom, and Roots Manuva, amongst others. In late 2007, Albarn and Hewlett began working on Carousel, a new Gorillaz project which eventually evolved into the band's third studio album, Plastic Beach, which was released 9 March 2010. Albarn said, "I'm making this one the most pop record I've ever made in many ways, but with all my experience to try and at least present something that has got depth.” The album features guest performances by Snoop Dogg, Lou Reed, Mos Def, Bobby Womack, Gruff Rhys, Mark E. Smith, Mick Jones, Paul Simonon, Kano, Bashy, De La Soul, Little Dragon, Hypnotic Brass Ensemble, sinfonia ViVA, and The Lebanese National Orchestra for Oriental Arabic Music. A 3D projection of the group was shown at the 2005 MTV Music Awards and the 2006 Grammys. They also performed at the Brits, in a different format, using screens rather than projections. Gorillaz have performed live in other occasions as well: in 2001 & 2002 they did tours where the musicians played behind screens, and in 2005 & 2006, Gorillaz had five nights in Manchester and New York respectively. This time the screens were behind the musicians, who were visible to the audience only as silhouettes (except for the guest-stars). Since the band began to achieve mainstream success, there have been rumours of them working on a full-length movie. Some of these have been confirmed, but nothing has gotten beyond planning stages, mainly due to conflicts between the band and studios involved. In 2008, Hewlett said "Ultimately we didn't think that feel we're in a position to make the kind of movie we want to make with Gorillaz at the moment. [...] But I'd still like to make a full, lavishly-animated Gorillaz movie someday." Albarn and Hewlett created a Pop Opera called Monkey: Journey to the West, which premiered in the summer of 2007 at the Manchester International Festival. A soundtrack album was recorded in the summer as well (initially only digitally available though a CD version was released in 2008). The production went on to show at the Théâtre du Châtelet in Paris in September-October 2007, the Spoleto Festival in Charleston, SC, USA in May 2008, and the Royal Opera House in London in July 2008. The duo behind the Pop Opera built on ideas from Monkey: Journey to the West to release a short film in the Summer of 2008 which accompanied the United Kingdom's coverage of the BBC Olympic Coverage in Beijing. It featured a basic outline of the main plot elements of the Opera, reworked into a "Journey to the East", with the characters finishing in the Beijing Olympic Stadium. Gorillaz headlined the Pyramid Stage at Glastonbury 2010, as an immediate replacement for U2, who dropped out of performing at the festival. At the end of 2010 Gorillaz released their next album The Fall made in the hotel rooms during their US tour. It is the first album made entirely on iPad. The album is streamed on the Gorillaz website and was available for free download for a limited time. 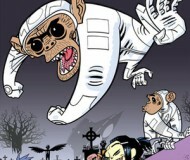 In April 2012, Albarn told The Guardian that he and Hewlett had fallen out and that future Gorillaz projects were "unlikely". Cass Browne - Drums, percussion Read more on Last.fm. User-contributed text is available under the Creative Commons By-SA License; additional terms may apply.